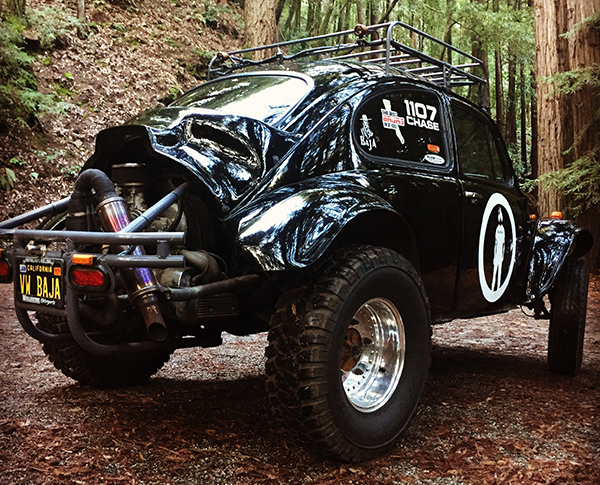 Jim Graham of Desert Dingo Racing approached me several years back when he saw my Baja Bug at a VORRA race at Prairie City, saying he was interested in buying one, but didn’t know where to start. We finally got a chance to sit down and walk through what he wanted to do it with. 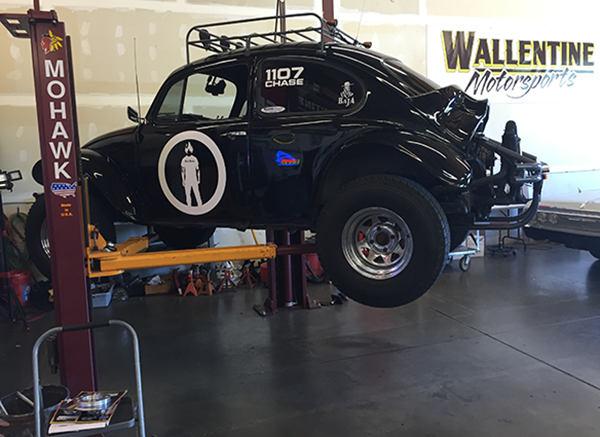 It was going to be a daily driver, his weekend fun car, and it wasn’t going to spend too much time in the dirt – he had 1107 for that. Based on those specs, we narrowed it down to ’69 or ’70 Baja with a larger, solid motor, but the exterior and interior were less of a priority, because we expected to re-do both. A couple months of scanning Craigslist and The Samba turned up two candidates, both ’69s, one in Bakersfield and one farther south in the Inland Empire. Fortunately the one in Bakersfield was good enough and Jim drove it home. We kicked it off with a new carpet kit, floor mats, reclining MasterCraft race seats and three point seat belts. The engine got a thorough check out and was in good shape. The paint was good enough for now, and we opted to hold off on a repaint until more work was done. Desert Dingo sponsor Lifetime LED supplied the lighting and we decided to keep the basic chrome off road rims and street tires it came with. 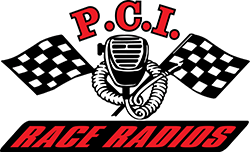 As happens with a lot of projects, you get more ideas once you get the basic car prepped. 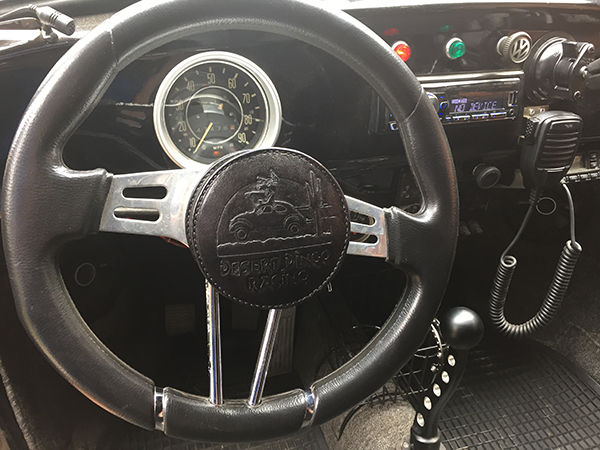 Jim worked with a Southern California leatherworker to do a bespoke steering wheel pad with the Desert Dingo logo, acquired a Black Mamba shifter, a new stereo system and he got a hankering for some flashing rims and tires. We eventually came into possession of a very nice set of Centerlines and opted to shod them in radials up front and some prototype General Tire rubber in the back. We also decided to lose the secondary oil cooler as it was cheap and prone to leaking. Like many cars we build, they are works in progress. Next up for Jim’s Baja is a new roof rack (already built in Mexico) and new lights. 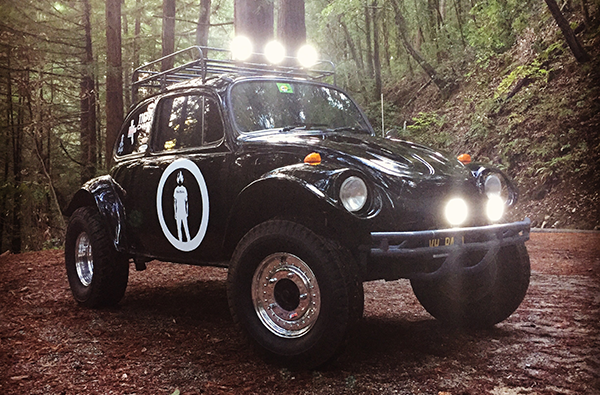 The Baja is already an award winner, having picked up “Best ’68 and above” at Sacramento Bug-o-Rama and, just recently, was named one of Jalopnik’s “Best Cars and Trucks We Drove in 2016” after Jim lent it to them sight unseen to drive 1,100 miles in the inaugural LeMons Rally. 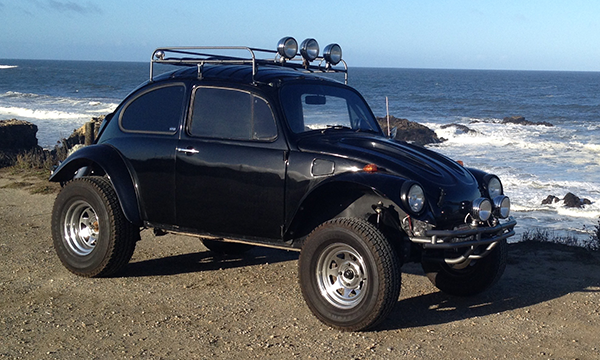 Watch for more to come from this Baja looker.